The proliferation of master’s and doctoral programs in data science and analytics continues, seemingly due to the insatiable demand of employers for data scientists. Amstat News started reaching out two years ago to those in the statistical community who are involved in such programs to find out more. Given their interdisciplinary nature, we identified programs involving faculty with expertise in different disciplines—including statistics, given its foundational role in data science—to jointly reply to our questions. We have profiled many universities, including a few in last month’s issue; here are four more. 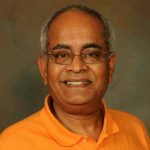 Sri Sridharan is a professor of management and serves as the chair of the management faculty at Clemson University. His research area is supply chain management. He has published more than 75 articles in peer-reviewed journals and consulted for various companies and agencies. 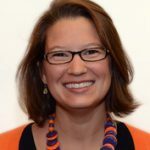 Ellen Breazel is a senior lecturer in the Clemson University School of Mathematical and Statistical Sciences. She serves as the manager of the Statistics and Mathematics Consulting Center. Her professional interests include statistics education and curriculum. Describe the basic elements of your data science/analytics curriculum and how the curriculum was developed. The program consists of 10 courses (30 credit hours), five from the school of mathematical and statistical sciences and five from the department of management. The curriculum was developed through collaboration between the two sponsoring departments and a panel of industry representatives. 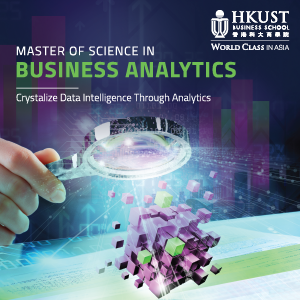 It is designed to combine statistics, mathematics, and management courses to train students to use, manage, and apply data science and analytics in a variety of areas. Fields of application would include marketing, manufacturing, and military fields. The online delivery will help accommodate students in a professional setting looking to advance their careers. There is no prerequisite coursework required; however, some background in quantitative reasoning through coursework or work experience is recommended. In today’s world of constant streaming data and quick decisions, Clemson University recognized the need for individuals who are trained in both business management and analytics, including an emphasis in applied statistics. The goal of this program is to create graduates who can use statistical reasoning to help motivate business decisions. Our graduates will be able to bridge the gap between pure data analysts and upper management. Although we have not begun accepting students yet, the program’s potential has created interest and excitement among potential students, current faculty, and industry partners. Graduates of this program will be prepared to be market research analysts, management analysts, or business analysts. In today’s market of constant information, the ability to take ideas from multiple sources to form solutions has never been more accessible or desirable. Students need to have a breadth of knowledge while maintaining an individual expertise. Clemson University’s MS in data science and analytics will provide students with knowledge in statistics, mathematics, computer science, and business management. This transdisciplinary approach to learning fosters a breadth of ideas to strengthen the depth of an individual proficiency. A graduate degree in purely computer science, statistics, or business management will provide a depth of knowledge in a field of study, but may not provide the breadth component that has become crucial in today’s workplace. IBM predicts demand for data scientists will increase by 28% by 2020. In the early stages of developing this program, we engaged a panel of industry representatives on curriculum, skills needed, and graduate placement. In tandem with future employers, we have developed a program that will produce in-demand graduates who will have an immediate positive impact. I would advise institutions considering starting a degree in data science to engage industry partners early and often. It is more effective to form the program based on what your product should be. Interdisciplinary work has become a staple in industry. Those demands on graduates can help foster relationships among departments on campuses. 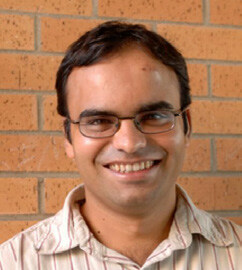 Devavrat Shah is a professor in the department of electrical engineering and computer science at MIT. 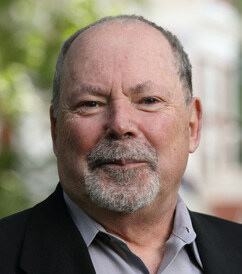 He is a member of the Laboratory for Information and Decision Systems and director of the Statistics and Data Science Center, both part of the MIT Institute for Data, Systems, and Society. 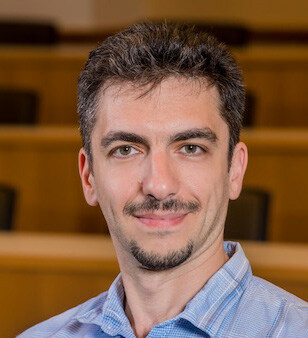 His research focus is on theory of large complex networks, which includes network algorithms, stochastic networks, network information theory, and large-scale statistical inference. Alexander ‘Sasha’ Rakhlin is an associate professor in brain and cognitive sciences and at the Institute for Data, Systems, and Society. 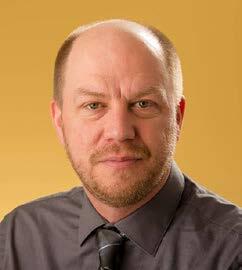 He is also head of the interdisciplinary doctoral program in statistics with the MIT Statistics and Data Science Center. His research is in machine learning, with an emphasis on statistics and computation. Program format: The MicroMasters Program in Statistics and Data Science is comprised of four online courses and a virtually proctored exam covering foundational knowledge essential to understanding the methods and tools used in data science, including the fundamentals of probability and statistics. It includes hands-on training in data analysis and machine learning. There is no application or admission process, and all the courses are taught by MIT faculty at a similar pace and level of rigor as an on-campus course at MIT. While valuable in its own right, the credential can be applied, for admitted students, toward a PhD in social and engineering systems through the MIT Institute for Data, Systems, and Society or accelerate learners’ paths toward a master’s degree at other universities around the world. Many organizations now have more data available to them than they know what to do with. Turning this avalanche of data into meaningful business insights creates challenges that require data science skills. One of the defining challenges of our time is how to use data to make accurate predictions that can lead to high-impact decisions. Tackling this challenge means developing the ability to perform data processing and computation on a massive scale. This requires a time investment in ongoing education. We created the MicroMasters Program in Statistics and Data Science because we believe online programs are well-suited to fill this need. We think of 21st century statistics as including classical probability and statistics and encompassing computation and data analysis. Any role in which analysis of data at scale can be used to empower organizations to derive insights and make data-driven decisions. This means these skills are applicable broadly across industries, as well as in research, government, and nonprofits/NGOs. Students should focus on how to turn data into decisions, which is best taught through multidisciplinary programs that include elements from engineering, mathematical sciences, and the social sciences. The need for professionals skilled in data science, analytics, and machine learning is skyrocketing. We’re seeing this across industries and sectors. A recent report from IBM states there will be more than 300,000 new job openings for data-driven professionals by 2020. As it stands now, there is a shortage of the necessary technical skills for these roles. Program format: The Interdisciplinary PhD in Statistics is designed for students enrolled in a participating MIT doctoral program who wish to develop their understanding of 21st century statistics within their chosen field of study using concepts of computation and data analysis and elements of classical statistics and probability. Participating MIT departments include aeronautics and astronautics; economics; mathematics; political science; and the MIT Institute for Data, Systems, and Society’s (IDSS) Social and Engineering Systems (SES) PhD. What was your primary motivation(s) for developing a doctoral data science/analytics program? What’s been the reaction from students so far? 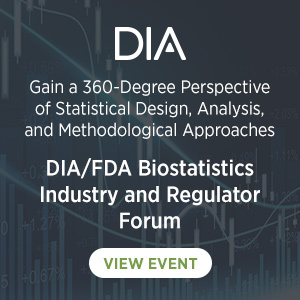 The most interesting statistical advances are often made in conjunction with various disciplines, and statistics is increasingly an interdisciplinary subject. The reaction from students has been highly positive. We are developing a vibrant group of students and faculty members and growing the footprint of statistics at IDSS and MIT. Students receive rigorous training in our four focus areas—computation, data analysis, probability, and statistics—along with the work in their home department. This will allow them to achieve domain expertise while effectively using statistical tools and methods. These sorts of graduates will stand out with a unique and specific skill set in either the commercial job market or within academia. The ubiquity and rapid proliferation of data have created unprecedented challenges and opportunities for which statistics is a uniquely powerful tool. Statistics is a key component of data science, and data science skills are in extremely high demand throughout industry and the public sector. An open and interdisciplinary approach to statistics and data analysis will be increasingly important in the future, and attempts should be made to cross the boundary between disciplines with the rigor of statistics. With this combination, both areas shine brightest. Herman “Gene” Ray earned his bachelor’s and master’s in mathematics from Middle Tennessee State University and his PhD in biostatistics from the University of Louisville School of Public Health and Information Sciences. The curriculum contains core courses from computer science, statistics, and mathematics. The mathematics core content includes the theory of linear models, discrete optimization, and graph theory. The computer science core includes machine learning, advanced database systems, and deep learning, while the statistics core includes data mining and applied binary classification. The intent is to train individuals to apply theory to solve complex data-centric challenges. The program was developed with input from an advisory board comprised of executives and practitioners, as well as academics. Their input directly affected curriculum decisions along with the mixture of courses from the foundational disciplines of data science. It also brought forth the requirement that students experience data science in application. Within the curriculum, the applied experiences are developed primarily through private sector–sponsored data science research laboratories working on collaboratively developed projects. We currently have approximately 10 sponsored research labs working on image recognition, model evaluation and optimization, structuring, and querying scanned documents. We also engage in “data science for good” initiatives, such as a current project focused on reducing response time for first responders with our local fire department. Read summaries of our program’s research. In 2006, Kennesaw State University launched a Master’s of Science in Applied Statistics. The program was really an early program in data science—the program requires a foundation in calculus and programming (e.g., SAS, R and Python). In every course, the students work with live data (typically provided by one of our corporate partners) and are required to extract, transport, load, clean, and model. The program is recognized as one of the flagships of the university. Based on that success, the university administration asked the department of statistics and analytical sciences to develop a PhD program in applied statistics. Given the opportunity to start with a blank piece of paper, we decided to build a program that not only leveraged the successes of the MS in applied statistics, but also integrated the more applied dimensions of computer science. The result was the country’s first PhD in analytics and data science, launched in 2015. The reaction from the market was overwhelming. Our most recent cohort, which began in fall 2018, received 90 applications for five seats. The statistics department at KSU has a strong applied orientation because most of the faculty have industry experience at a variety of organizations, including AT&T, Ford, Thomson Reuters, VISA EU, Accenture, LexisNexis, and MasterCard. Two of the founding faculty leading the analytics and data science PhD program are from the statistics department. The relationship with the statistics department is solid, with a mutual appreciation for the value the two disciplines contribute to each other. The content taught by statistics is well received by the students, and there are opportunities for students from our program to teach statistics courses as long as they meet the accreditation requirements. Two of the statistics faculty also act as principal investigators and lead two of the research laboratories with research publications and conference publications resulting from the work. It is important for PhD programs—particularly those in highly computational disciplines—to appreciate that most graduates will not go into academia. This is a relatively new phenomenon. As a result, PhD programs have a responsibility to ensure they are preparing graduates not just for academic positions, but also to become members of data science organizations in which collaborative teams are the norm. In our program, the students are preparing for research positions in either industry or academia, with an emphasis in machine learning, data science, artificial intelligence, or positions that require the development of methods to analyze or predict an outcome. They are also learning how to communicate their findings to both scientific and nonscientific audiences. The strongest applications to the program reflected research experiences, including some evidence of publication. The PhD program requires a master’s-level degree, but the specific discipline is less important. It is best if the graduate degree is from a quantitative background that also provided research opportunities. The most recent cohort included two individuals with computer science graduate degrees and one with a master’s degree in statistics. But we also have students with degrees in anthropology, finance, economics, and mathematics. While all students interested in pursuing a PhD in data science need to understand the core concepts in statistics and computer science, the best data scientists also exhibit intellectual curiosity, creativity, and strong oral and written communication skills. Describe the employer demand for your graduates/students? In a word: “Insatiable.” Almost all our PhD students are regularly approached by companies interested in hiring them. For those students interested in going into the private sector after graduation, the dominant fields are finance, health care, and consulting. The academic departments inquiring about our students are primarily housed in colleges of business or in an interdisciplinary research unit like a center or institute. The biggest issue is coordinating the faculty who mentor the students and teach the courses. They are housed within the specific departments placed within different colleges. For instance, the statistics department is located within the college of science and mathematics, while computer science is located within the college of computing and software engineering. KSU developed the Analytics and Data Science Institute and housed it within the graduate college to assist with solving this problem. The degree program is interdisciplinary, so this structure allows us to work with faculty who have the required expertise, regardless of the department or college to which they belong. For instance, we have faculty from the Coles College of Business who serve as dissertation chairs since they have the domain knowledge. The committee is also made up of individuals from statistics and computer science, since they have expertise related to analytics that will be applied to the problem. It has resulted in a great interdisciplinary model, allowing our students to benefit from the expertise located across the campus. 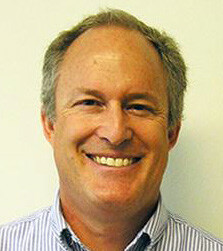 Philip E. Bourne is the Stephenson Chair of Data Science, director of the Data Science Institute, and a professor in the department of biomedical engineering at the University of Virginia. 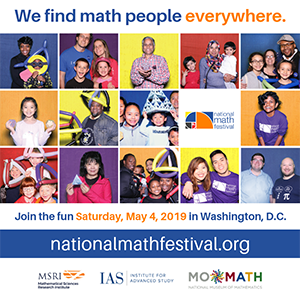 Jeffrey J. Holt has been a faculty member at UVA for 20 years and has joint appointments in the department of statistics and department of mathematics. He was the first director of the MS in data science program. Partnering departments: Required courses are offered by the Data Science Institute (DSI, the lead) and departments of computer science, statistics, and systems engineering. Students take elective courses in many other departments, and faculty from other departments participate as capstone project advisers. Program format: The program is in person and requires 32 credit hours. A capstone project is a central component of the program. Students are full-time, with some entering the program immediately after finishing undergraduate degrees and others entering with post-undergraduate work experience. There is no internship component, but capstone projects involve working with a client so have some elements of a traditional internship. There are no assistantships. An online version of the program will start in the 2019 academic year. Basic Elements: The curriculum is tightly prescribed, with about 70% of the material common to all students. There are core courses in statistical computing, programming, linear models, foundations of computer science, data mining, machine learning, data ethics, and the practice of data science. All students also work on a capstone project team, with topics that vary but where communication and team science more generally are emphasized. Program Development: The program was initially developed by a team of faculty associated with the Data Science Institute (DSI) from departments that include computer science, statistics, and systems engineering. Industry input was incorporated into the development and continues through an advisory board. Prerequisites: Students are required to have an undergraduate degree and have taken courses in single variable calculus (typically a two-semester sequence), linear algebra, introductory statistics, and introductory programming. In 2013, there was an initiative at UVA to address the challenges of big data. This resulted in the establishment of the DSI, together with discussions about how to support research and education. At that time, a small number of colleges and universities had just started programs in data science. It was clear to us that interest in data science was growing among potential students and employers, so it seemed like a good time to start a program. Student reaction to the MSDS program has been overwhelmingly positive. Employment placement rates have been high, and students report positive experiences in the program. Of course, not everything is perfect and students have provided valuable input that has resulted in program improvements. We are starting to apply data science methods to our own employment data on the four prior years of the program. This is hard to answer, because everyone has a different notion of what constitutes “data science.” There is a significant overlap between statistics and data science, but we see data science as a combination of statistics, computer science, and programming that encompasses the entire process of transforming data into knowledge. Graduates have taken jobs in a variety of sectors, including consulting, finance, government, health care, information technology, government contracting (in part due to our proximity to Washington, DC), and even sports analytics. Many are hired into data science groups within larger organizations. Job titles include data scientist, data analyst, senior associate data scientist, director of data science, modeling and simulation specialist, and machine learning engineer. Data science positions typically include significant portions of both computational and data analysis work, so students going into data science should enjoy both aspects. If a student likes analysis but not coding, then statistics might be a better choice, although most statisticians end up doing a lot of data cleaning so some coding is probably inevitable. If students like to code but are not as interested in data analysis, then computer science is likely a better choice. Ideally, students will take enough courses with heavy components of computation and data analysis to be able to assess their interests. It also goes without saying that students entering data science should be excited about the application field they are working within. Demand has been strong. Class of 2018 data is still being compiled, but among the 91% of students in the class of 2017 reporting their employment status, all had found employment, with 93% of US students and 100% of international students working full-time. Average starting salaries exceeded $91,500, with an average signing bonus of more than $11,750. Many students had more than one offer, and it is not unusual for students to take a position with the organization that sponsored their capstone project. We think the ability of the DSI to award its own degrees, independent of any school, is critical to defining the value of data science within our academic system. At the same time, it does not exist in isolation. Our program includes dedicated courses taught in a variety of departments. The advantage to this approach is that different perspectives contribute to the program, which we believe is valuable and fits the interdisciplinary nature of data science. However, faculty scattered across different departments brings greater communication challenges than for programs housed within a single department. Good communication is critical for program consistency and buy-in of faculty contributors and requires ongoing effort to maintain. Programs should not to skimp on administrative support, especially related to admissions and career services. We received nearly 600 admission applications last year, and many students will reach out with questions that need timely responses. Student employment placement is vital to the success of our program, so we invest heavily in career services. This is not something that will take care of itself. We also believe creating a diverse, accessible, and open environment to be important and consider it in all aspects of what we do (e.g., admissions, hiring of team members [we do not distinguish faculty and staff], accessibility of our research products). Nice to have an easy forward button so I could send to daughter interested in statistics.